Hallie Jackson, Steven Portnoy, Cecilia Vega and Yamiche Alcindor talked about covering the White House. 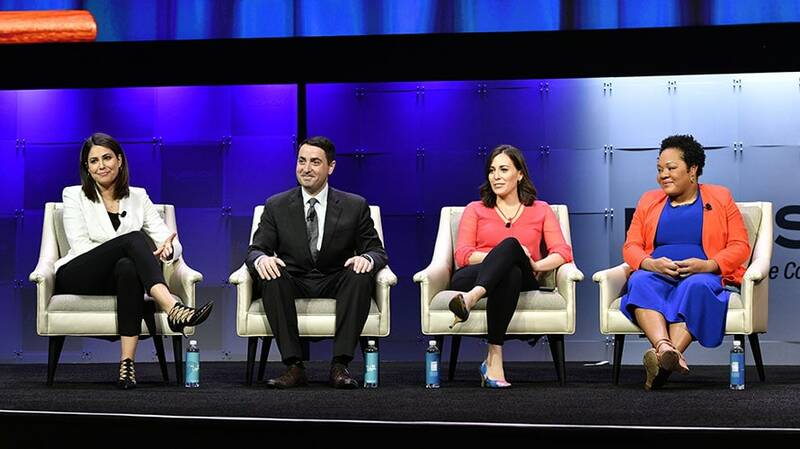 The White House Correspondents-focused panel at the NAB Show 2019 in Las Vegas was one of the conference’s most timely to date. NBC News chief White House correspondent Hallie Jackson, PBS NewsHour White House correspondent Yamiche Alcindor, CBS News Radio White House correspondent Steven Portnoy (who said he came to Las Vegas on Air Force One with President Trump) and ABC News White House correspondent Cecilia Vega spoke about the trials and tribulations of covering the Trump administration, which is stoking an anti-media sentiment. "At the beginning, we jumped every time he tweeted. Now, I think there’s a little more breathing room." The panelists discussed their own efforts to address that credibility conundrum. "We cannot give them—whoever 'them' is—that argument that [we] screwed it up. … Every time we mess up, factually, it gives them ammunition to call us fake news."